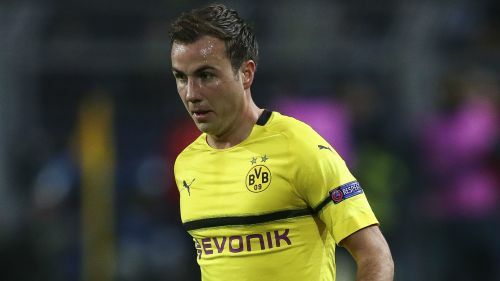 Borussia Dortmund attacking midfielder Mario Gotze is set for a spell on the sidelines with a broken rib. Gotze sustained the injury prior to Saturday's Bundesliga match against Hertha Berlin and consequently did not travel to the capital with the Dortmund squad. No timeframe has been given for the 26-year-old's return to action. Gotze wrote on Twitter: "Due to a broken rib, I cannot help my team in Berlin. "I keep my fingers crossed for the boys and I hope to play again soon." Dortmund will return to the top of the Bundesliga with a win at the Olympiastadion, as leaders Bayern Munich are not in action until Sunday, when they face Mainz.